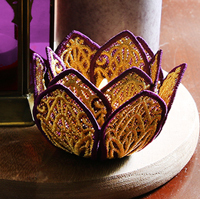 Lace Lotus Candle Holder Light up your home with this gorgeous freestanding lace lotus tealight holder. 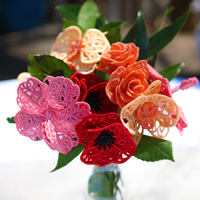 Blooming Lace Bouquet Craft a blooming bouquet of freestanding lace flowers for your home or events! 3D Organza Flower Make your projects pop with this soft and elegant 3D organza flower bloom! 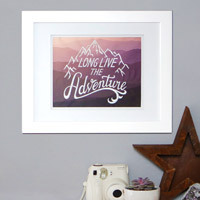 Embroidering On Inkjet Printed Fabric Combine your favorite photos with embroidery designs to create beautiful decor pieces! 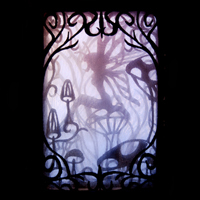 Enchanted Shadowbox Bring your layered embroidery scenes to life in a magical way -- with this enchanting shadowbox! 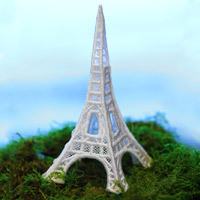 Lace Eiffel Tower Craft your own mini trip to the romantic city of Paris with this lace Eiffel Tower! 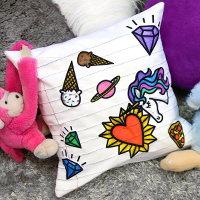 Notebook Doodle Pillow Take your notebook doodles to the next level with a combination of sewing, embroidery, and fabric markers! 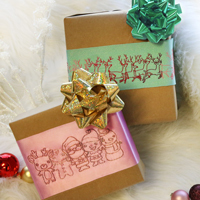 Embroidering on Ribbon Add a special touch to gifts by embroidering onto ribbons or making your own! 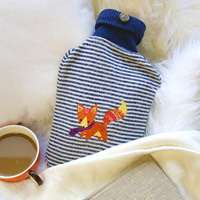 Hot Water Bottle Cover Bring Grandma's cozy bed bottle into the 21st century with an adorable hot water bottle cover! 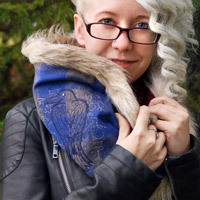 Embroidered Cowl Scarf Whether you're looking for a sweet gift idea or a way to keep warm, this embroidered scarf is a quick and classic project! 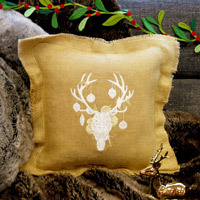 Stitching on Burlap Give your project a rustic feel by embroidering on burlap fabric. Perfect for the Holiday season, or any time of the year. 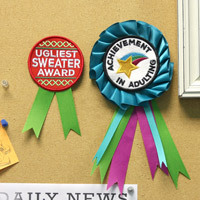 Award Winning Ribbons Dress up any patch by making them into award ribbons. This tutorial covers two simple and distinct ways to do it. 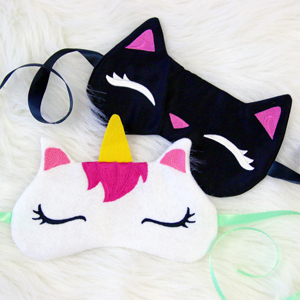 Sleep Masks Take a restful cat nap in this adorable in-the-hoop eye mask! 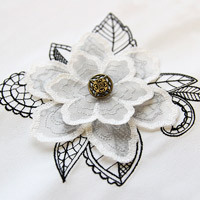 Lace Treasure Box Craft your own lace treasure box for your jewelry and trickets. This simple tutorial will show you how! 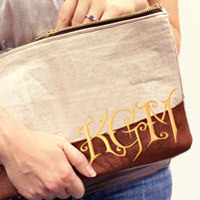 Unique & Offbeat Monogramming Whether you are following tradition or crafting your own style, monogramming is the perfect way to personalize gifts and more! 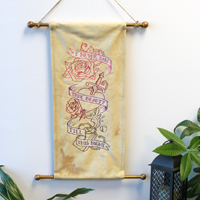 Storybook Scroll Go big and bold with your Candlelight Tales embroidery with this simply chic wall hanging scroll. 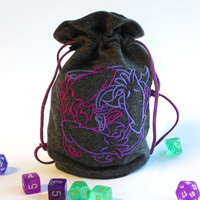 Dice Bag Grab your game dice, it's time to create the perfect flat-bottomed drawstring dice bag! 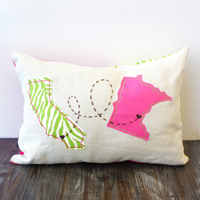 State Love Pillow Stitch up a pillow that keeps the places that matter to you close to home, using applique state outlines. 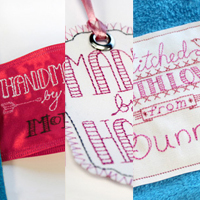 Handmade Tags Give your handmade gifts the perfect finishing touch with pretty, personalized labels! Here are several ways to use these designs. 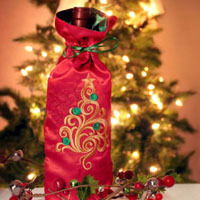 Drawstring Wine Bag Stitch up a gorgeous embroidered drawsting bag, then tuck a bottle of wine inside for the perfect holiday hostess gift! 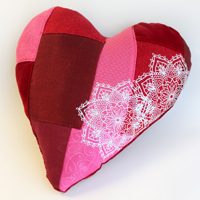 Valentine Patchwork Pillow Slightly crazy patchwork layered with all-white embroidery makes a heart pillow that's huggable and lovable! 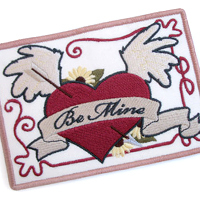 Valentine Memento Kit This endearing keepsake-worthy valentine card doubles as a miniature embroidery kit, so the recipient can stitch a reply. 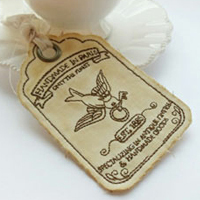 Vintage Gift Tag Stitch up this raw edge gift tag entirely in the hoop, tea-stain the fabric, and add a grommet and tie! 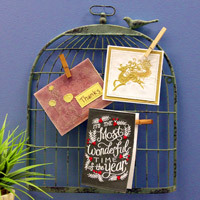 Crafty Cards Craft one-of-a-kind greetings! 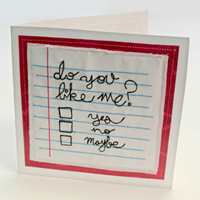 Embroider fabric, stick it to cardstock, stitch it all together, and write your message inside. 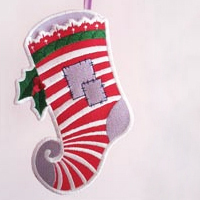 Gift Card Stocking Present gift cards with flair in this elfin stocking ornament! It stitches together in the hoop for a pretty, polished look. 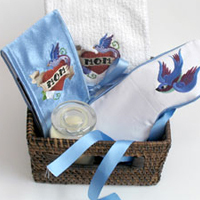 Relaxation Gift Basket Pamper Mom with a gift basket full of soothing treats - a cool eye mask, tea wallet, and towels, personalized just for her. 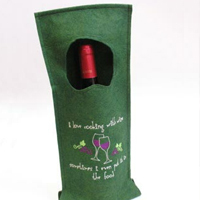 Wine Bottle Cozy Next time you bring a bottle of wine to a party, class it up with this quick wine holder - embroidered, of course! Victorian Valentine Stitch up this old-fashioned fabric postcard that your beloved will treasure forever – and yes, you can mail it! 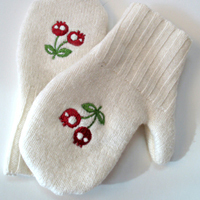 Upcycled Sweater Mittens Make a pair of snuggly warm embroidered mittens out of an old sweater … without knitting a stitch!